A sweet and moving romance from the author of the beloved Anne of Green Gables series! Eric Marshall, recent college graduate, has the world at his feet. When an old school friend asks Eric to substitute teach for him on Prince Edward Island, Eric thinks, why not? Kilmeny Gordon, perfect in every way but one: she can't speak. She's been sheltered all her life due to her disability and the scandal surrounding her birth. 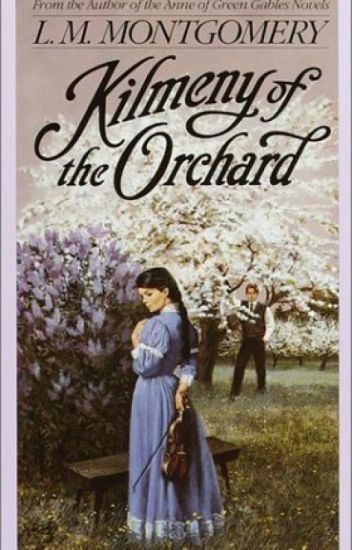 When Eric stumbles into her hidden orchard, he brings a whole new world with him, and a friendship that both frightens her and thrills her. How can he get her to accept that she's the only woman he'll ever love, when she is convinced that the only way to love him is to let him go? Besides, why can't she speak? And what of the jealous Neil? (Book 1 of Emily Starr trilogy) Emily Starr never knew what it was to be lonely -- until her beloved father died and her snobbish relatives are taking her to live with them at New Moon Farm. *This story belongs to L. M. Montgomery. I don't own anything. The sequel to Eight Cousins. The story of a nineteenth-century girl finding her way in the world. RATED 4.00 STARS BY GOODREADS. "Before this war is over,' [Walter] said - or something said through his lips - 'every man and woman and child in Canada will feel it - you, Mary, will feel it - feel it to your heart's core. [...] It will be years before the dance of death is over - years, Mary. And in those years millions of hearts will break." Rilla is a young girl when World War I breaks out. At first she doesn't realize what this means for herself, her family, Canada and all of the world. But the heartbreaking truth is soon evident to vain and easy going Rilla, and the ensuing four years change her life forever. Tragedy, love, and humor are mixed in one heart wrenching book, all by Montgomery's amazing style. GOODREADS RATED THIS 4.14 STARS. PS Keep a box of tissues with you. The seventh installment in the 'Anne' series. The sixth installment to the 'Anne' series. The fifth installment in the 'Anne' series. With social commentary surprisingly relevant 150 years later, and charming style, this is a timeless story from the author of Little Women. "If it had not rained on a certain May morning Valancy Stirling's whole life would have been entirely different. But it did rain and you shall hear what happened to her because of it." PS. A random teen novel contains ten times more iffy stuff than this. No need to worry that it was meant for adults.